Our range of products include Stainless Steel Glass Set, Milk Can, Stainless Steel Tea Cup, Stainless Steel Puri Dabba Set, Stainless Steel Glass and Stainless Steel Milk Can. Matching up with the requirements of our clients, we are involved in offering Stainless Steel Glass Set. Our company has created a niche in the field of offering Milk Can. We are highly acknowledged organization engaged in presenting a remarkable range of Stainless Steel Tea Cup. 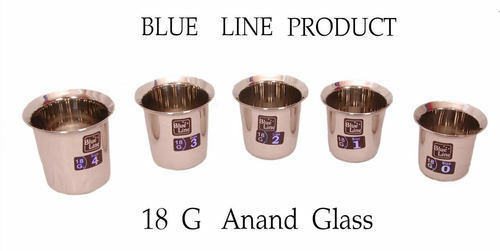 Being a well-distinguished company in the market, we are into offering Stainless Steel Puri Dabba Set. Enriched by our vast industrial experience in this business, we are involved in offering an enormous quality range of Stainless Steel Handi Set.